As in-car digital radio listening increases, the UK's main broadcast infrastructure company says improving the driver experience is key. Simon Mason, Head of Radio TSS & Architecture, Terrestrial Broadcast at Arqiva says the company wants to change how listeners choose radio stations in the car. In a blog post, he remarked that "scrolling through station logos is safer than the current method of using text strings, because they’re easier to recognise quickly without diverting the driver’s attention from the road. And now that most new cars already come equipped with full colour screens for navigation purposes, this kind of change is completely feasible. Also, lots of work is going into voice management of the radio." In the third quarter of 2018, 91.4% of new cars sold had DAB receivers as standard equipment – that’s up from 87.5% for the same period last year, equating to 545,000 new DAB-equipped cars leaving forecourts in the three months. In total over the last 12 months, 2.2 million new cars with DAB have been sold. In the commercial vehicle market, 54.3% of new commercial vehicles sold between July and September had DAB, up from 50.5% on the previous quarter. The latest radio listening figures confirm 63% of all adults listen to radio in the car, or other mode of transport, in an average week. "Both demand for and access to digital radio in cars is growing, and it’s our job to keep up. 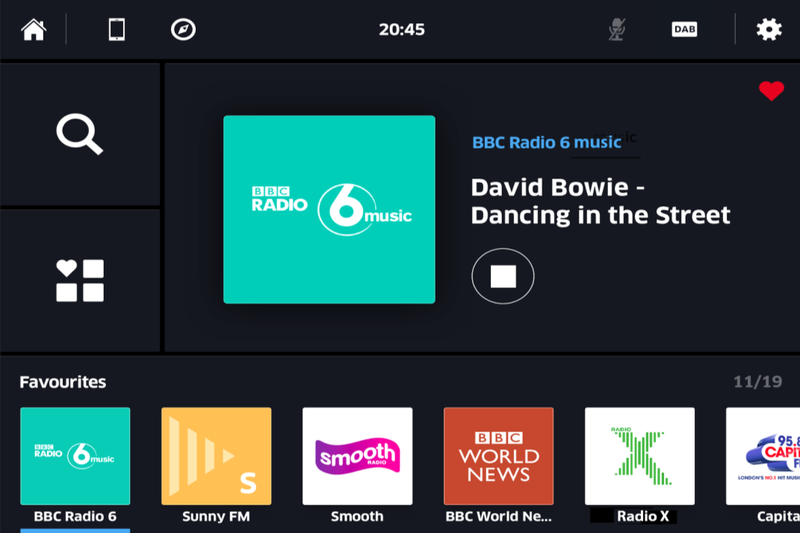 In the past five years we’ve built hundreds of new DAB transmitters, and it’s getting harder to find a stretch of motorway or a busy main road where there’s not at least one group of digital stations to listen to." "DAB is not the only way to access digital radio services; drivers also have the option to stream over mobile connections. We’ve found that 4G is perfectly capable of delivering radio services, but only on a lightly loaded 4G network, so the big issue here is capacity. In traffic jams or areas where lots of vehicles are passing through, the user experience is greatly reduced. Not only does this create the obvious issues with reception, but it leads to an experience which may mean that users frequently need to operate their mobile phones. This has obvious safety issues, particularly for lone drivers." In order to improve reception, he also confirmed on-going work with manufacturers to improve car antennae.